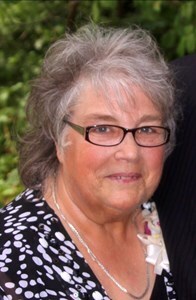 Katherine Josephine “Kathy” Vass, 71, of Topeka, passed away Friday, February 1, 2019. She was born June 9, 1947, in Salina, Kansas, the daughter of Frank and Margaret (Corman) Crowl. Kathy married the love of her life Max Vass on March 23, 1974 in Salina, KS. They lived on a small farm in Minneapolis, KS. He preceded her in death on September 25, 2016. Survivors include four children, Eric (Genene) Vass, Topeka, KS, Dana (Mike) Hoffmann, St. Cloud, MN, Jody Sammons, Minneapolis, KS, Corbin Vass, Abilene, TX; four grandchildren, Garrett Vass, Jordan Sammons, Ryan Sammons, Max Vass, and four step-grandchildren, Alyssa Hoffmann, Ben Hoffmann, Emma Hoffmann, and Tom Hoffmann; one great-grandchild, Strydr Sammons; and two sisters, Barbara Ridder, Lincoln, NE and Diana McDaneld, Tucson, AZ. Kathy enjoyed creating stained glass pieces, glass mosaics, and various other crafts. Kathy loved the outdoors and enjoyed fishing and bird watching. She loved spending time with family and hosting holiday meals. Honoring her request, cremation is planned. An intimate gathering not far from her home in Minneapolis, KS will be held at Milo Cemetery Barnard, KS. Memorial contributions may be sent to Aldersgate Village (to be used for long term care activities for crafts), 7220 SW Asbury Dr., Topeka, KS 66614. To share your memories of Kathy or to leave a special condolence message for her family, please click the Share Memories button above. Add your memories to the guest book of Katherine Vass.